The wait is finally over, and it was definitely worth it! 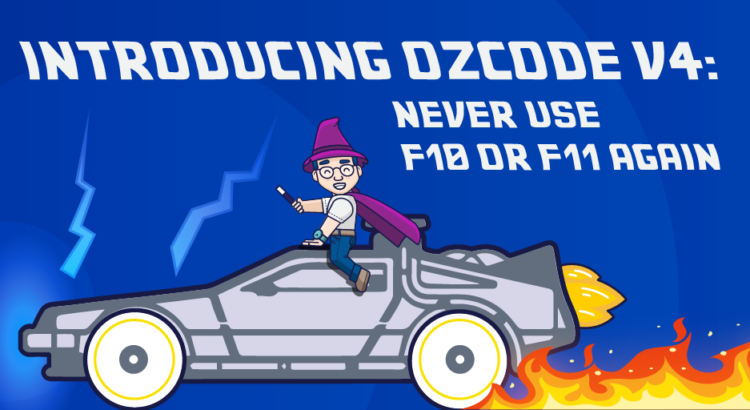 We are happy to announce today the launch of OzCode 4.0, in tandem with the Visual Studio 2019 launch . OzCode 4.0 provides developers with unparalleled tools to dramatically simplify C# debugging and cut debugging time in half. Aside from improved search functionality and collaborative debugging, the true game-changer in OzCode 4.0 is the Time-Travel feature, which enables developers to test and predict how their code will execute, traveling across loop iterations and code branches, in order to pinpoint the exact moment of failure without affecting the program’s state. V4 truly is a game-changer. The ability to test code execution down to the end of the method, predicting the values of everything along the way – this is unprecedented. OzCode 4.0 is a revolutionary product that aims to transform the way developers debug code. Up until now, if you wanted to see how your code runs, you had to step through it until your next breakpoint then stop and change variable values or code according to your desired flow, stop, recompile, re-run and reproduce the bug again and again – which is not only time consuming but also ineffective. With the OzCode’s Time-Travel functionality, all the predictions done by OzCode are done in a virtually executed environment, so the program state isn’t affected. As Time-Travel debugging is asynchronous, it doesn’t slow the coder’s work down while he or she is stepping through code. This capability doesn’t just mean cutting debugging time in half. It means another step towards full live coding, blurring the lines between coding and debugging, which ultimately will dramatically impact efficiency, quality and delivery of software products. Not coincidentally, this release goes hand in hand with the Microsoft’s release of Visual Studio 2019. Personally, I think that LiveShare is the most exciting feature in VS2019 – the simplicity and immediacy with which I can now invite a colleague to help out, and the ability to work independently on the same problem — are huge steps forward for the software engineering practice as a whole. Now we can collaborate without the “fighting for the steering wheel” situation that always occurs in traditional pair programming. Not to mention…OzCode’s LiveShare integration enhances Time Travel debugging, allowing LiveShare users to venture to different points in time and examine different program states simultaneously. In an industry that has no real metrics in place to assess debugging productivity, Time-Travel is one more step on the journey towards live coding. We hope OzCode’s new functionality will help improve the day-to-day life of the developer by significantly reducing time spent on debugging, so they can focus on the fun stuff – crafting great new features and delighting their end users.